Hank Klibanoff’s students are talking about running. Specifically, why an innocent black teenager would run from white cops in Macon in 1962. 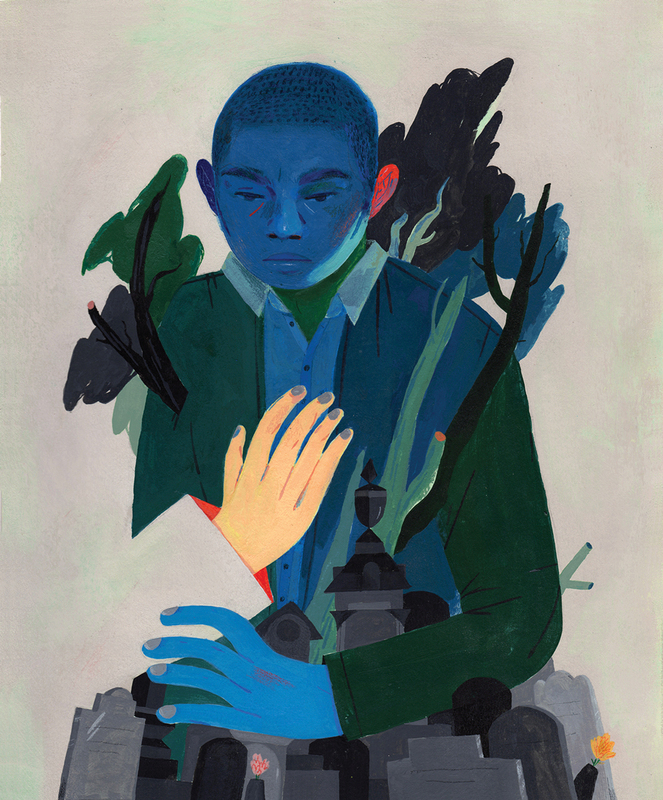 Simone Senibaldi, a senior, says, “The thing about running—for me and people that I know who are black—is that whenever cops are around, you run, regardless of whether you’re innocent or guilty.” Senibaldi is one of 15 students enrolled in the Georgia Civil Rights Cold Cases Project, an Emory University class taught by Klibanoff, a Pulitzer Prize–winning journalist. On this fall day, the students are discussing the case of A.C. Hall, a 17-year-old boy who was shot and killed in 1962 by two policemen searching for “a colored man” who had stolen a gun out of a white couple’s car. They spotted Hall in the driveway of an elementary school with his friend Eloise Franklin. Hall ran and the officers opened fire, shooting at him until a bullet pierced his heart and he collapsed in the street. Hall died before he reached the hospital. A grand jury decided not to indict the two officers. To set the scene, Klibanoff projects maps of the neighborhood where the shooting took place and plays a video of Macon-raised Otis Redding’s “Respect” on a screen. The students sit at tables arranged in a circle so they can discuss the case. Each class focuses on a single case all semester and builds upon earlier classes’ findings. Previous groups probed the case of James Brazier, a black man who was killed by Dawson police seemingly because he was driving an expensive car in 1958. Another examined the case files of Clarence Pickett, who was beaten to death in a jail cell by a Columbus police officer in 1957. After spending weeks reading documents, newspaper clippings, and family archives, each student writes a paper on a theme related to the case. “There’s something more important than just the crime story,” Klibanoff says. 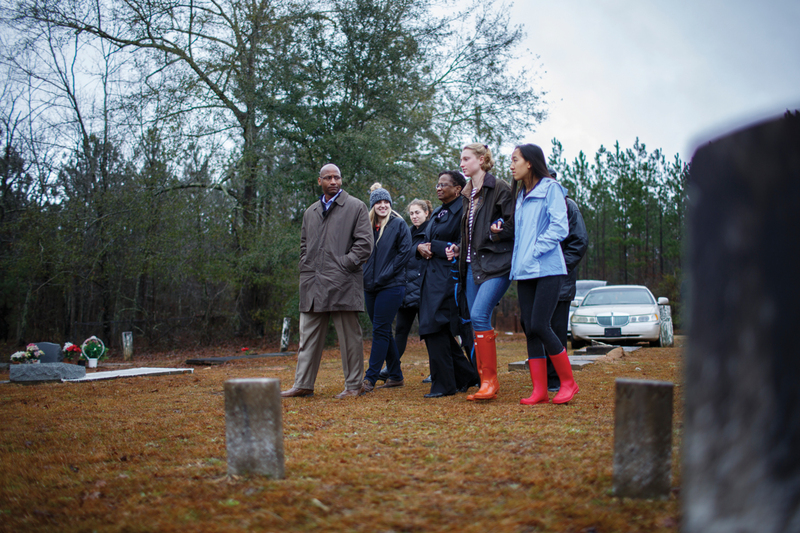 “This is about an injustice that no one was ever prosecuted.” Sometimes the students even travel to the Georgia locations where the killings took place. Along the way, they uncover records they never knew existed and even interview witnesses and family members. 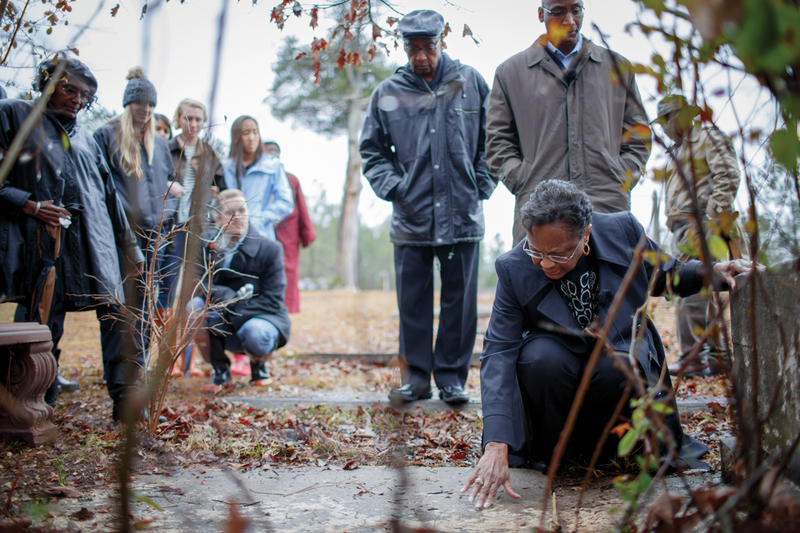 Isaiah Nixon’s daughter had not seen his grave in 67 years. Perhaps the most moving discovery thus far involved the case of Isaiah Nixon, a father of six who was shot by Jim Johnson, a white man, in Alston after Nixon voted in Georgia’s Democratic primary on September 8, 1948. Johnson was charged with murder but acquitted by an all-white jury after a three-hour trial. Soon after Nixon’s death, his family fled to Florida, and the location of his gravesite was forgotten. Students traveled 180 miles to Old Salem Cemetery. A.C. Hall, a few years younger than most of Klibanoff’s students, ran as soon as he saw the police headlights, most likely because he was afraid of white police officers, regardless of his innocence that night in 1962. “Walter Scott ran, too,” one student says, referring to the unarmed man who was fatally shot by a police officer in April 2015 in South Carolina. Like Scott, Hall was probably unarmed the night he died. “There’s something eerily current about that,” Klibanoff says.